Maybe if I’d known about this study sooner, then I could have had a couple of beers before my GCSE French exam and got an A*, because apparently, alcohol helps you speak a foreign language, better. Sensationnel! Oui Oui! Apparently, those who partake in a spot of foreign language study, find sometimes, alcohol – in moderation, of course – helps them to speak more fluently. In a way, that makes sense too – not in a Joey Barton turning French kind of way! (Google it if you don’t know what I’m on about there)! Cringe! 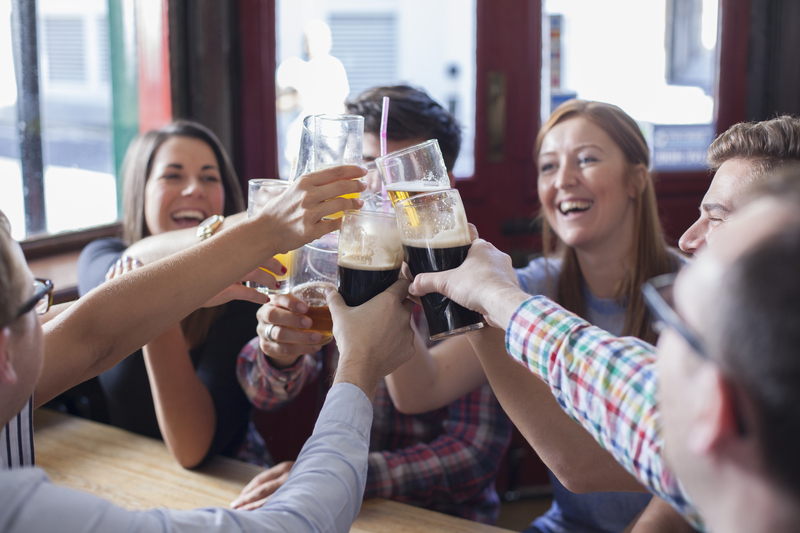 It’s been revealed, supping a beer or a glass of wine can lower your inhibitions – obvs – which makes it easier for some people to overcome nervousness or hesitation when putting their foreign tongue to the test. However, on the flip side – and completely understandably – alcohol has also been shown to; impair cognitive and motor functions, negatively affect memory and attention, and lead to overconfidence and inflated self-evaluations. 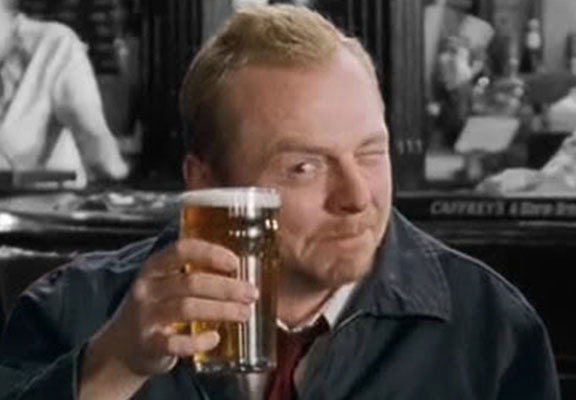 I know it may seem a bit of a long shot, but in all fairness, if someone asked me to say – in french – ‘last weekend I went to the cinema with my friends’ – I guarantee that after a Stella or two, it’d probably roll right off the tongue. Le week-end dernier, je suis allé au cinéma avec mes amis. Anyway, back to the question, do people really speak non-native languages better after drinking? Well, a group of researchers conducted an experiment, published this week in the Journal of Psychopharmacology. As it turns out, people in the study really did speak more fluently after a low dose of alcohol — even when they didn’t think so themselves. The study consisted of 50 native German speakers who were all studying at Maastricht University. The university is in the Netherlands, near the German border. Each person in the study stated they drank alcohol sometimes, and because their classes were taught in Dutch, had recently passed an exam demonstrating proficiency in the language. Each of the 50 were asked to have a casual, two-minute conversation with an interviewer in Dutch. Before that chat, half were given water, while the other half were given alcohol. The amount of alcohol was different for each person, but it was rationally based on the person’s weight. 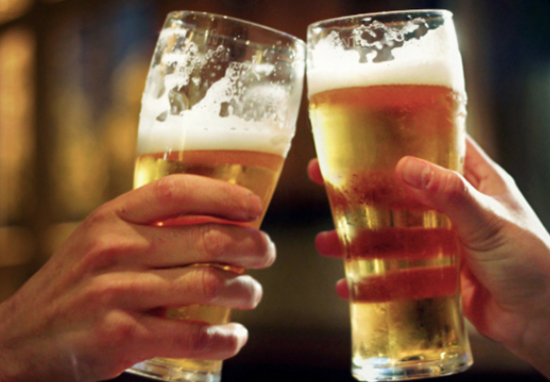 It equated to a 150-pound man being given just under a pint of beer. Each person’s conversation was recorded and then scored by two native Dutch speakers – who weren’t aware which people had drank the alcohol. Those participating in the study were also asked to self-score their own performances, based on how fluently they felt they’d spoken. Unexpectedly, the alcohol had no effect on the speakers’ self-ratings. Those who’d drank alcohol weren’t any more confident or pleased with their results compared to those who’d drank the water, however, they did perform better. Ratings were similar for both groups when looking at grammar, vocabulary and argumentation, but for the group who were given alcohol, they were said to have better fluency and specifically, better pronunciation. However, I should point out, the authors state the dose of alcohol tested in the study was low, and higher levels of consumption might not have the same beneficial effects. Yet, they do state drinking too much can have the exact opposite effect on fluency and can even lead to slurred speech. You don’t say! There’s one other variable factor too – the people taking part in the study knew they were drinking alcohol, therefore, you can’t say for certain whether their speech improved because of alcohol’s biological effects, or the psychological ones. After all, previous studies show people who think they’re drinking alcohol can experience similar levels of impairment as those drinking the real thing. Future research on this topic should include an alcohol placebo condition to disentangle the relative impact of pharmacological vs. expectancy effects. This might enable foreign language speakers to speak more fluently in the foreign language after drinking a small amount of alcohol. Remember to always drink responsibly, whether you’re learning a new language or not!